If you were born with your SUN in CANCER, you have an uncanny intuition and ability to quickly understand what makes people tick.? You have a nurturing style of supporting others that helps them to feel secure.? You freely shower your compassion and caring on those you care about and are truly happy when you can make someone feel special. Sometimes you forget to share all your love with yourself and can develop insecurities.? It?s important for you to be surrounded by people who are able to remind you of all you have to offer.? Your home is your sanctuary and you?re talented at creating a warm and welcoming living space. The year of 2015 promises to continue some of the themes of 2014 and Cancerians are likely to undergo transformations in their personal and professional lives.? This year will present opportunities for growth and reaching your full potential.? There could be situations where you feel you must ?sink or swim.? These moments can help you to find your strengths and you may surprise yourself with what you can accomplish. Any efforts put forth will not be wasted.? The prevailing energies will promote justice and can help you to be rewarded for hard work, dedication and sticking to your principles.? You?re primed for spiritual growth, as well, which can enhance your relationships with others. ?Your best bet is to embrace the inevitability of change. PLUTO in Capricorn continues to oppose your Cancer Sun throughout 2015.? This can create an underlying energy that is constantly pushing you to transform.? You may not even be conscious of your desire to change until you find yourself in a situation that makes it apparent.? It could seem that, suddenly, your whole being is longing to evolve.? Partners may act as a mirror to help you see yourself more clearly. As you change, the nature of your relationships will begin to shift in a positive direction.? The key to working with Pluto?s energy is allowing yourself to let go of old ways of being that no longer serve you.? Cancers can sometimes feel insecure in trying something new, so it will be especially helpful to surround yourself with supportive people.? If you were born July 5 ? 8, you will feel the most pressure to ?shed your skin? and transform. 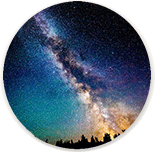 URANUS in Aries continues to square Pluto in 2015 which creates a theme of revolution in the atmosphere.? Because Uranus is also squaring your Sun Sign, you may feel its effects more than some of your peers.?? Relationships and work are in line for the most change this year. You could feel a strong desire for more independence.? Yet, at the same time, you may be ready to step into your personal power in order to take on new challenges and responsibilities.? This can require you to pioneer a new life that helps you fulfill your potential in a way that doesn?t restrict your sense of freedom. 2015 can be a year to think ?outside the box? and find yourself in new and exciting situations.? Uranus?s energy can be fast acting which can help you take the steps you need without hesitation.? However, it can also create the sense that things are happening too fast.? Instead of trying to resist change, your best bet will be to go with the flow and turn unexpected circumstances to your advantage.? Cancerians born July 5 ? 13 will feel the strongest urge to pursue life changes that make them feel more alive. SATURN will spend the first half of the year in Sagittarius, where it can help you to dedicate yourself to work or health related goals.? From mid-June to mid-September, Saturn will Retrograde back into Scorpio and form a helpful trine to your Sun.? This aspect can help you to make the most of your creative abilities and add a sense of stability to your life.? You can make a lot of progress on any project you start this summer, especially if it involves something you are passionate about.? You?ll be gifted with a self-discipline that can enable you to accomplish your personal goals. Romantic relationships are highlighted and there is the potential for long-term commitments.? Cancerians born July 22-23 can feel the effects of Saturn most strongly from mid-June to mid-September.? From mid-September through the end of the year, Saturn will return to Sagittarius and your 6th house of daily work, health and wellness.? The rest of 2015 will be great for creating lasting routines and working on long-term goals. NEPTUNE is in Pisces, and will continue to trine your Sun this year.? This can bring you the right circumstances to explore different philosophies and put you in a position to expand your mind and spirit.? It?s a good year to travel and pursue activities like yoga or meditation to nurture your soul.? Spending time near water can feel especially renewing and uplifting.? Your intuition will be strong and you can have the ability to receive valuable information from a Higher Power. If you were born June 27 ? July 1, you?ll be in position for the most spiritual growth.? The gifts of Neptune this year will be a beautiful soothing for the more intense tasks that are coming your way.? To take maximum advantage, allot regular time for prayer and meditation so that you can use the balm of Neptune to help mitigate and balance out the tougher challenges you are simultaneously going through. JUPITER, the planet of good luck and opportunity, will reside in your 2nd house of finances through August 11.? The first half of the year can bring about an increase in your income or present you with a moneymaking opportunity.? On August 12, Jupiter moves into Virgo forming a sextile with your Sun Sign.? This fortunate aspect will continue for the rest of 2015 and can be helpful for writing, communications, marketing and advertising.? You will have the ability to make an impact on people and create positive change through your words.? Correspondences are more likely to contain good news during this time.? Cancerians born June 22 ? July 16 will feel the most benefits from Jupiter the second half of the year. You don?t have to go it alone.? Too much independence will not work to your advantage this year.? A better bet is to become more aware, without judgment, of the personalities of those around you.? Where can you pitch in to help them, either by taking on a task for them or by giving them emotional support?? Connecting with others in a cooperative team spirit of mutual support this year will reap the rewards of others giving you the help you need. Aligning yourself with supportive people can help boost your confidence to make courageous changes.? Be ready to let go of what?s no longer working.? Any discomfort you may feel is sending the message that it?s time to do things differently.? If you work hard for what you want, the rewards will be available to you. Your intuition will be your best guide.? It will be important to create time and space to sit quietly and listen to what your inner voice has to say.? Resist the urge to stifle your ambitions simply because they seem scary or unobtainable.? If presented with the choice between the familiar, comfortable path and the new and exciting path, you?ll do well to choose the latter this year. Change is in the air for you and this is the year to be willing to embrace a more fulfilling life than where you have been.? Partners and close friends can also help you to see things in a new light and push you in the right direction.? Compromise and teamwork will be a strong theme through mid-November. From mid-November to the end of the year, the energy will support being of service to others.? Your sensitivity and ability to connect with others, on an emotional level, will prove to be a valuable asset.